Find resources for your research using various search engines. Find IRC collections, subscribed e-resources and also free resources on the web. How to register My Library Account? To login, key in your Staff/Student No. For 1st time users, default password is "abc123"
Your name will appear on the right side of screen. Click your name to view your page. Click selected renew box and click Renew Marked button. Seamless access via UTP LAN or student wifi (no username and password required). Access via OpenAthens if using UTP-Celcom wifi, own broadband or own internet connection. UTPedia (UTP - Electronic and Digitized Intellectual Asset) is the repository of all university's intellectual asset in a form of thesis, dissertation, examination question paper and final year project report. UTPedia stores more than 7 thousands thesis of collection from year 2000 and it is growing. UTPedia accesible via Browse content of UTP using Year, Subject, Department and Author. Search for required document using searching facilities included in UTPedia. UTPedia with full text are accesible for all registered users, whereas only the physical information and metadata can be retrived by public users. For UTP students and staff: email irc@utp.edu.my to request for username and password. UTP Institutional Repository (UTP IR) is a collection of the University's intellectual or research output. The repository is for UTP researchers to share academic papers such as journal articles, books, research articles etc. written by UTP researchers either individually or in collaboration with other research institutions and universities. For academic staff: contact UTP ICT Careline to get username. PLATFORM is a peer-reviewed journal of UTP that serves as a medium for faculty members, students and industry professionals to share knowledge, views and discoveries in their areas of interest and expertise. International Journal of Biomass and Renewables is an international journal publishing original research papers, short communications, review articles, case studies and technical data on biomass and renewables utilization for energy and material sources. UTP Annual Report is a comprehensive collection of the university's activities in a particular year. It provides great insight into student life, as well as all the major activities and events that happen throughout the year. 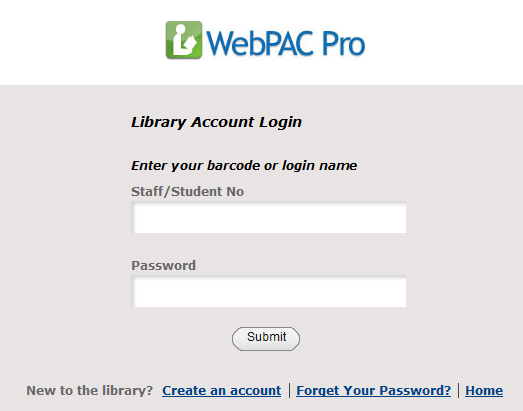 Login to your personal account in iScan to renew books and see your borrowing list.